Add some mysterious touch to your style with Jen necklace set. 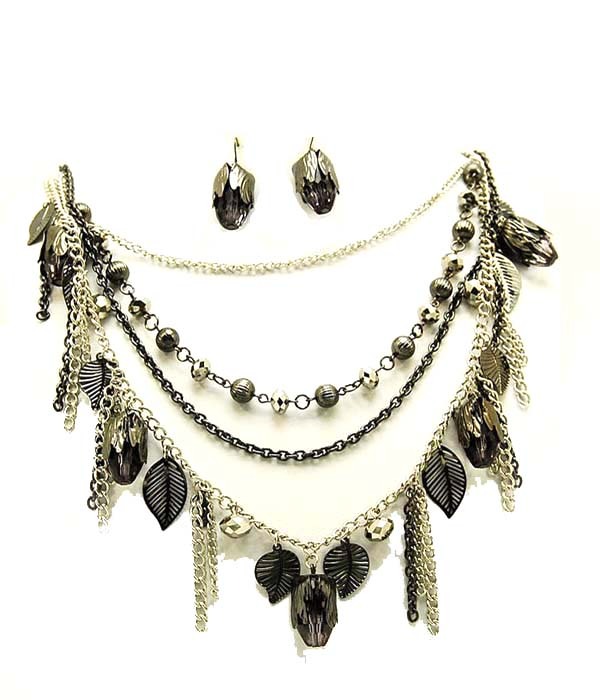 Gold and black chains of the necklace are abundantly embellished with metal spheres, leaves and tassels. Black faceted beads add sparkle to the piece. Shop from Australia's largest range of necklaces online here and now!